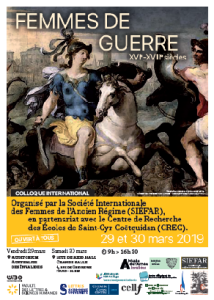 We are happy to confirm that the 10th Christine de Pizan International Congress will be held in Paris, at the Sorbonne Nouvelle, from the 18th to the 22nd of June 2019. This meeting aims to examine the way in which Christine de Pizan evokes and inscribes the theme of filiation in her texts; first of all, her own filiation as a daughter and as a mother. 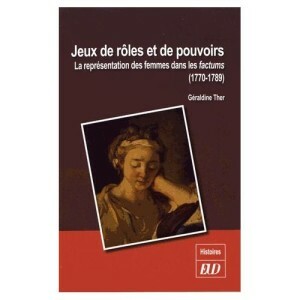 Other filiations, literary and fictional, are added to biological filiation: from one work to another, new processes of genesis and generation are built or invented and, with them, new ‘fathers’ and ‘mothers’ emerge, as new alliances for the widow she is. These filiations (real or imaginary, matrilineal or patrilineal), as well as their hierarchy, will be analysed. It could be interesting to explore how these relationships are preserved when they are no longer based on flesh, and what the ideological implications of this kinship are. We will also address some of Christine de Pizan’s apparent contradictions, such as the promotion of virginity and chastity, frequently found in her works, and the importance given to lineage; the promotion of herself as an author and the failure to claim rights for the “daughters” she is addressing. The concept of filiation is also central for the reflexion on texts and the way they were created and transmitted: papers can thus focus on the different versions, and the filiation between them and the late copies, reworkings, and translations. relation with the images of the late manuscripts. 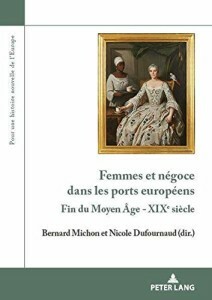 Last but not least, filiation may suggest new lines of research on language on different levels, especially the syntax (the genesis of sentences) and the lexicon of Christine de Pizan’s works (e.g., the creation of neologisms from Latin and Italian to French). Presentations are to be delivered in French, English and Italian. Presenters are asked to respect a twenty-minute limit. Organised sessions (4 papers maximum) or round tables are also encouraged. We invite you to submit your abstracts to christine.de.pizan.2019@sorbonne-nouvelle.fr. Abstracts should not exceed 500 words (exclusive of references), and should list 3 to 5 keywords. The deadline for submission is 15 September 2018. The abstracts will be reviewed anonymously by members of the Scientific Committee on the basis of the originality of the work, chosen methodology, writing quality and the overall contribution to the field of Christine de Pizan’s studies, and notification of acceptance will be sent out by the 15 December 2018. Registration fee is €100 for established researchers, lecturers, and professors, €50 for students and independent researchers. The registration fee must be paid by 31 January 2019. Organisation: Dominique Demartini, Claire Le Ninan, Gabriella Parussa, Andrea Valentini. Scientific Committe: Giovanna Angeli, Étienne Anheim, Renate Blumenfeld-Kosinski, Kevin Brownlee, Jacqueline Cerquiglini-Toulet, James Laidlaw, Didier Lechat, Sylvie Lefèvre, Didier Lett, Anne Paupert, Sophie Prévost, Christine Reno, Anne Schoysman, Helen Swift, Michelle Szkilnik, Marie-Hélène Tesnière, Tania Van Hemelryck, Margarete Zimmermann. 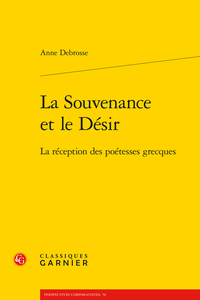 Précédent Article précédent Digressions, dissertations, réflexions dans les récits factuels et dans les récits fictionnels de l’époque classique XVIIe-XVIIIe s.